Of late, things have been quite tough for most people as the economy continues to bite and everyone seems to be feeling the pressure. To add salt to the injury, your body has all along been acting weirdly in was it didn’t before. Your muscles have started twitching in some funny places for many hours and you easily become tired and you seem as if your limbs have fleeting needles and pins. These symptoms have worsened over the weeks and the final blow comes when you realize that you are finding swallowing food to be a problem. In the midst of all these problems, you do exactly what any doctor shy and overworked person does; you decide to consult Dr. Google. Within a fraction of second, the ‘doctor’ takes your request and you learn that fasciculation is the name given to the muscle twitches. Then you start searching swallowing difficulty, muscle fasciculation and muscle fatigue. Dr. Google continues to offer you several suggestions and every site you visit confirms to you your worst fears. Some even know exactly the way you are feeling and also your symptoms. At least, you are suffering from motor neuron disease or multiple sclerosis if you are lucky. While this conjures the reality of having to attend your kid’s wedding on a wheel chair within a decade or eating the wedding cake via a tube, your heart is filled with only terror. You start reading the median rate of survival for the motor neuron disease you have and you learn that it is between 3 and 5 years. You read that death can come as easy as being drowned by your own spit and some people like Steven Hawking have survived the condition longer. For your care, you have two kids to look after, a spouse, a family and work that require you to stay at your healthiest. This diagnosis simply knocks you by your feet and your symptoms increase day by day. 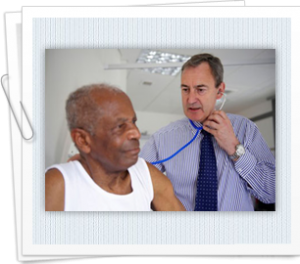 Your family doctor who is already worried about your situation pushes ahead your appointment with the neurologist. Before diagnosis, you were stressed and now, your anxiety is out of control. Everyone start suspecting that things are wrong and when you finally go for the neurologist’s appointment, you are shocked. Your Dr. Google was wrong but how could that be. To start with, Google knows nothing about you; he asks you no questions and only provides answers to what you ask. The info you get isn’t tailored to your environment, history, external and socioeconomic pressures. Diagnosis made by Dr. Google is wrong and damaging and it is important that you trust only real life doctors. Then, you can use Dr. Google for reference purposes. Unfortunately, you can’t sue Dr. Google for wrong diagnosis, suffering and pain.